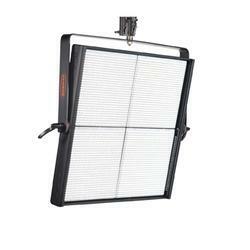 Pioneers in the industry, we offer 90w led panel daylight spot, 90w led panel daylight flood, 90w led panel warm light spot, 90w led panel warm light flood, 180w led panel daylight spot and 180w led panel warmlight spot from India. 90W LED panel comes with Spot / Flood beam angle. Integrated dimmer enables instant dimming from 0 to 100%. LED lamp life 50,000 hours. High-grade Aluminium Housing with black powder coated matt finish paint. Brightness is controlled through DMX mode and Manual mode. Available with pole operated yoke. Power supply: AC 100-240 V, 50-60 Hz. 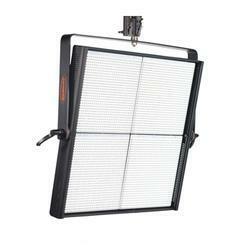 180W LED panel comes with Spot / Flood beam angle. 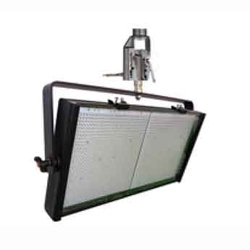 300W LED panel comes with Spot / Flood beam angle. 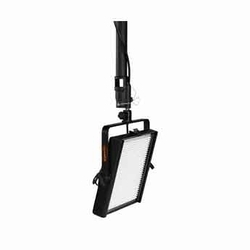 High-quality Canara LED Panel light used as a Key light, Backlight, Fill light with dimming, spot or flood versions for creating many effects for multiple applications. High-grade Aluminium Housing with black powder coated matt paint. High-grade Aluminium Housing with black powder coated mat finish paint. Power Supply: AC 100-240V, 50-60Hz. 90W LED panel comes with Spot/Flood beam angle. 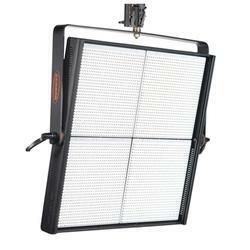 180W LED panel comes with Spot/Flood beam angle. Accessories(Optional): 1 Diffuser, 4 leaf Barndoor Honey Comb, Safety Bond, Stand, C-Clamp, Gel Frame. 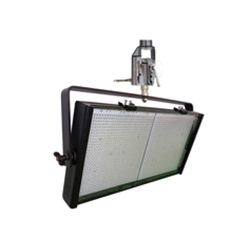 300W LED panel comes with Spot/Flood beam angle. 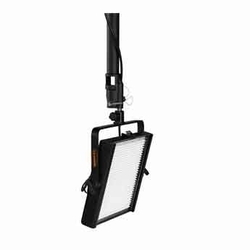 High-quality Canara LED Remote Phosphor Panel used as a Key light, Backlight and Fill light, with dimming for creating many effects for various applications. Remote Phosphor technology provides Increased system efficiency with reduced operating temperature of the system. 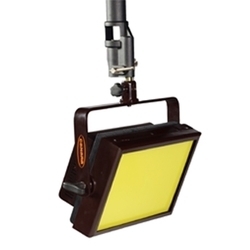 The changeable color temperature of 3200K or 5600K with High CRI phosphor panel. Wide and uniform spread, perfect CCT control resulting natural colors, CRI >95. High-grade MS fabricated housing with powder coated matt finish paint. Passive cooling system - no noise. 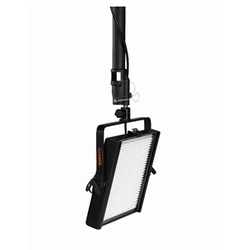 High-quality Canara LED LUX Panel used as a Key light, Backlight and Fill light with dimming for creating many effects for various applications. Seamless tuning of CCT from 2800K to 5600K. Perfect chromaticity control resulting natural colors, CRI >97 and TLCI > 95. Wide and uniform spread, no decrease in the intensity while tuning the CCT. 5 commonly used CCT 2800K, 3200K, 4000K, 5000K and 6500K as hot keys. High-grade Aluminium Housing with silver powder coated matt finish paint.